Last week was the vernal equinox, the point in the year when the days are as long as the nights. This year, celebrate spring by drinking wines from the southern hemisphere. Below the equator, they are celebrating fall and looking forward to the cooler temperatures of winter. Here, we've got other things to look forward to: warm sunshine, the first cookouts of summer, the last pots of stew to keep the chill away during the spring rains. Red wines from Argentina and South Africa go well with all these foods and more, with their warm, spicy, fruity profile. Here are my recommendations for very good QPR wines including a Malbec, a Cabernet Sauvignon, and a Shiraz-Pinotage Blend that will help you bridge from winter to spring to summer without missing a step. 2007 Bodega Septima Cabernet Sauvignon (suggested retail, $12; available for $7-$12) From Argentina, this luscious Cabernet has aromas of warm baking spices and currants, touched with herbal notes. The flavors are rich, too, with coffee and currants predominant. There is good acidity, and a juicy aftertaste. Drink now, or set aside for 12-18 months. 2008 Sebeka Shiraz-Pinotage "Cape Blend" (suggested retail, $7.99; available for $6-$8) This blend from South Africa features currant and plum aromas and flavors, accented with espresso and baker's chocolate. Like most red blends, it will pair nicely with a variety of foods including burgers, chili, and grilled chicken. Drink over the next 9 months. 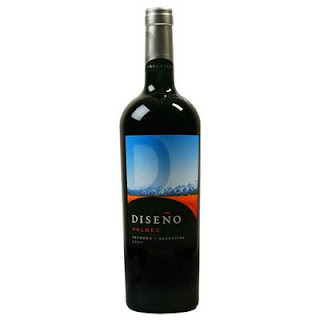 2008 Diseño Malbec (suggested retail $7.50; available for around $9) Always a reliable choice in affordable Malbecs, this bottling has floral, blackberry, and truffle aromas. The blackberry and mocha flavors are silky in the mouth. At present the tannins are slightly drying, so give it some air if you're drinking it now or set it aside to drink over the next two years. What a wonderful post, beautifully written. It captures these wines so well. Keep on posting. Diseño or Design. I think this wine reallt tastes good. 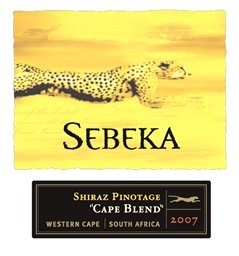 South African reds are incredibly good and usually inexpensive if I don't say so myself. This harvest boasts even greater quality. Hopefully we'll see you at the http://www.thegreatsouthafricanwineshow.com/ in NY on 11 May...would love to share some of our wines with you. Can't wait to try the Septima. Thanks!